Donetsk (Ukraine) (AFP) - As fighting has dropped off in eastern Ukraine, pro-Russian rebels are weighing their options: wait for the conflict to resume, return to civilian life or even head to war-torn Syria. "There are no more battles and some people are bored," a bearded rebel fighter who goes by the name of Turok (the "Turk") told AFP. "The guys I know have encouraged me to go to Syria, it's warm down there." Over 18 months of fighting between government forces and pro-Moscow insurgents -- who the West and Kiev insists are backed by Russia -- has come to a sudden halt since the two sides agreed a new truce at the start of September. Since then Moscow has launched air strikes in war-torn Syria at the request of long-standing ally President Bashar al-Assad, operations that Russia insists are hitting Islamic State jihadists. Now some of the rebels in Ukraine -- many of whom hail from Russia and are described by the Kremlin as volunteers -- say they are considering making for the frontline in Syria. Turok claimed many of the fighters have left eastern Ukraine for Syria to support Moscow's intervention in the country, which the West says could bolster the embattled Assad regime. Infamous rebel commander Motorola -- a native Russian who told a local newspaper in April that he had killed 15 Ukrainian servicemen in his captivity -- is among the separatist fighters who have relocated to Syria, Turok claimed. "Everyone knows that Motorola has gone to Syria because he is wanted in the DNR (self-proclaimed Donetsk People's Republic) for looting and destroying 90 percent of the airport," Turok said, referring to the fierce battles between Ukraine forces and pro-Russian rebels that left the newly-built Donetsk Airport in shambles. Turok's allegation, however, has been dismissed in local media reports, which say the rebel leader is still in the separatist stronghold of Donetsk. Motorola refused to comment when contacted by AFP. Reports that pro-Russian rebels have gone to Syria were not confirmed by the self-proclaimed separatist authorities, nor could they be verified by independent sources. Russia has ruled out sending its own ground troops to fight alongside Assad's forces and is limiting itself, for the time being, to air strikes. But the head of Russia's parliamentary committee on defence, Vladimir Komoedov, said Monday that he was sure pro-Moscow volunteers from eastern Ukraine would eventually end up fighting with Assad's forces. "A unit of Russian volunteers, participants of combat operations, will most likely appear in the ranks of the Syrian army," Komoedov told the Interfax news agency on Monday. Others remain highly sceptical of the rumours that rebels could be decamping en masse from Ukraine to Syria. Russian military analyst Pavel Felgenhauer said that even if some separatist fighters have gone to Syria, the exodus will not be of "massive" proportions. 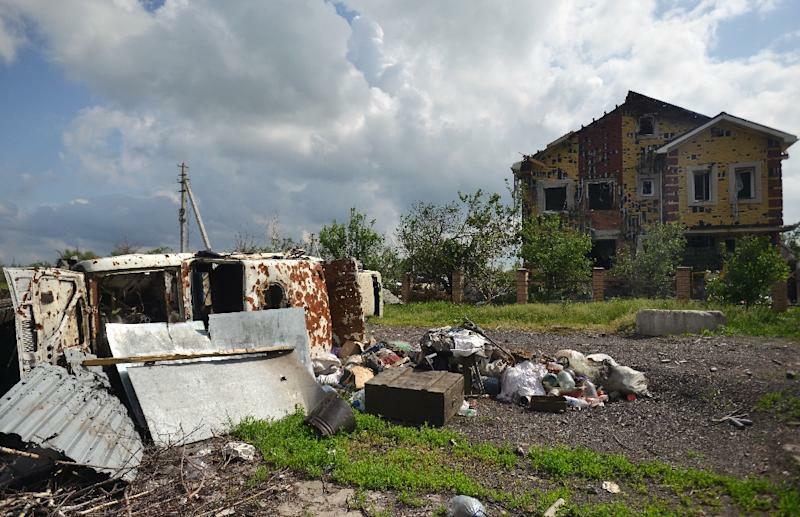 "It is unlikely that there are Shiites (a Muslim minority group) in Donbass that will go to Syria to fight Sunnis for ideological reasons," Felgenhauer said. Mercenaries from eastern Ukraine will be viewed in Syria as "Christian crusaders, which all the parties involved in the Middle-Eastern conflict hate", he said. Although some commanders have deserted the ranks of the pro-Moscow separatists, average separatist fighters are not yet expected to pack their bags, Turok said. "Local guys return to civil life, they find a job in town," Turok said. "I think that this lull is temporary and that we will still need to fight here. As long as the DNR does not control the entire region of Donetsk, the war will go on." Russia's air strikes in Syria have overshadowed the Ukrainian conflict in the Russia media, which has devoted hours of coverage to Moscow's actions several thousand kilometres (miles) away. "Everyone is fed up with the Donbass (eastern Ukraine) and attention has turned to Syria, where there are intense battles," said 36-year-old rebel fighter Konstantin, better known as Gin, his nom de guerre. "When the media and society will have had enough of Syria, they will turn their focus back to us." Separatist fighters have admitted that Moscow's financial and military assistance has dwindled, but that Russian military instructors are still in town. "There are no more clashes and many soldiers have started drinking," said 42-year-old rebel Andrei. "The Russians are trying to restore order, to keep up the discipline during the truce. But this has not pleased everyone, some have left the army." 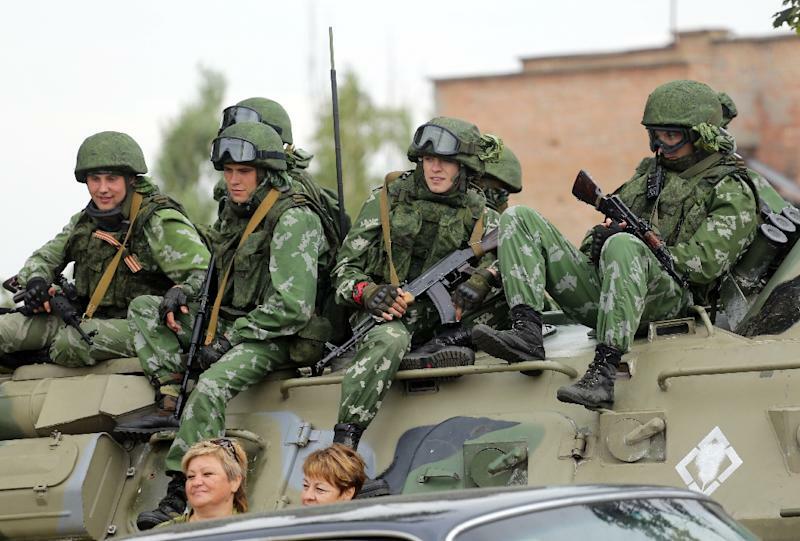 "Members of the FSB (Russia's Federal Security Service) aren't leaving," he added. "That's a sign that the war could start up again."